In 1092 Cumberland was annexed from Scotland by King William II of England, who built castles along the border to protect it. These were at Carlisle, Brough, and Bewcastle. Since 1066 when the Normans landed, the adaptation of Roman Forts into castles was much favoured, as there was a ready supply of building stone. Here at Bewcastle was a Roman Fort, with a deep and wide ditch. The Castle was destoyed in 1173. The Castle that we see today was built between 1361 and 1371 by John de Strivelyn, one of the King’s generals. It was some 27 metres square, with buildings on all but the west side grouped around a small courtyard. The entrance had above it a large stone carved with de Strivelyn’s coat-of-arms. This stone disappeared about 1823, and is now built into the wall of the barn of Demesne Farm, where it can still be seen. 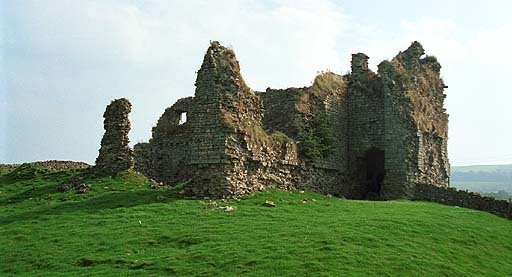 The castle was abandoned about 1401, when the occupants were taken prisoner by the Scots. The Castle has had other owners and restorations since, but in 1604 was reported as being in much decay. In 1900 it was sold as part of Demesne Farm, and in 1968 the Castle was sold to a London property company with intentions of selling parts of it to Americans. This project failed, and the Castle continues to decay, with no-one now owning it. 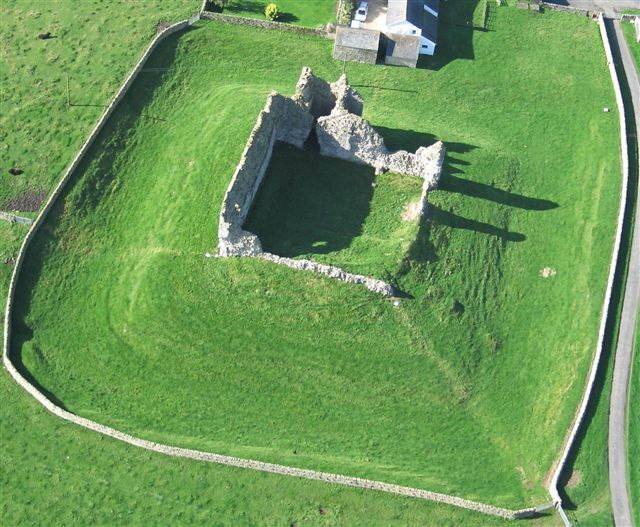 The place-name “Bewcastle” is derived from “Booth Caster”. 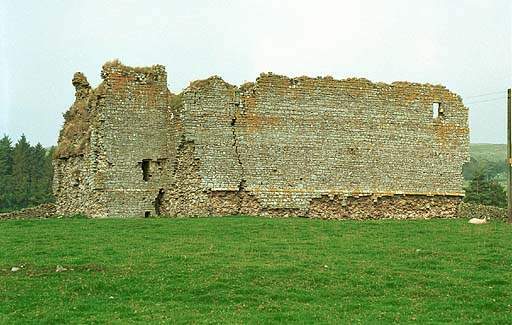 Caster is a name often used for Roman forts (e.g. Lancaster = Lune Caster), Booth meant much the same as it does now – a temporary dwelling. 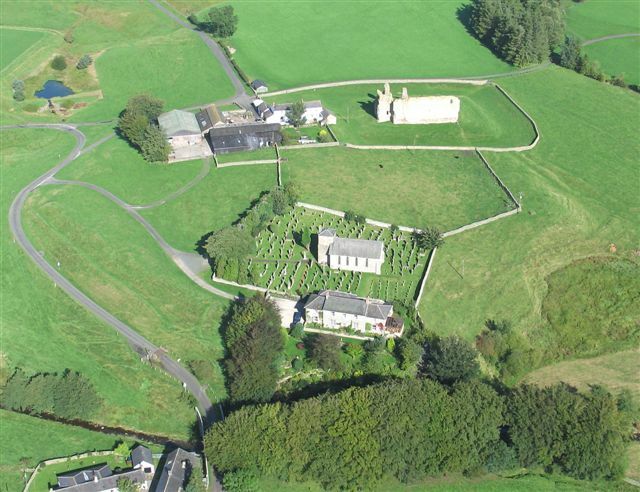 The castle is on private land within Demesne Farm, but permission to view from a nearby path may be obtained from the farm, who also supply a leaflet describing the history of the Castle.